The Historic Orchard is a 3.3-acre site, planted in 1994, located in Guadalupe Gardens just south of Taylor Street and adjacent to the River Park trails. The orchard contains over 200 fruit trees: cherries, apricots, prunes, apples, and more, that were grown in the Valley over the last century. A map of the orchard shows what kinds of trees grow where. It is maintained by dedicated volunteers who believe in preserving our community’s history. Click here to learn more about upcoming volunteer opportunities. 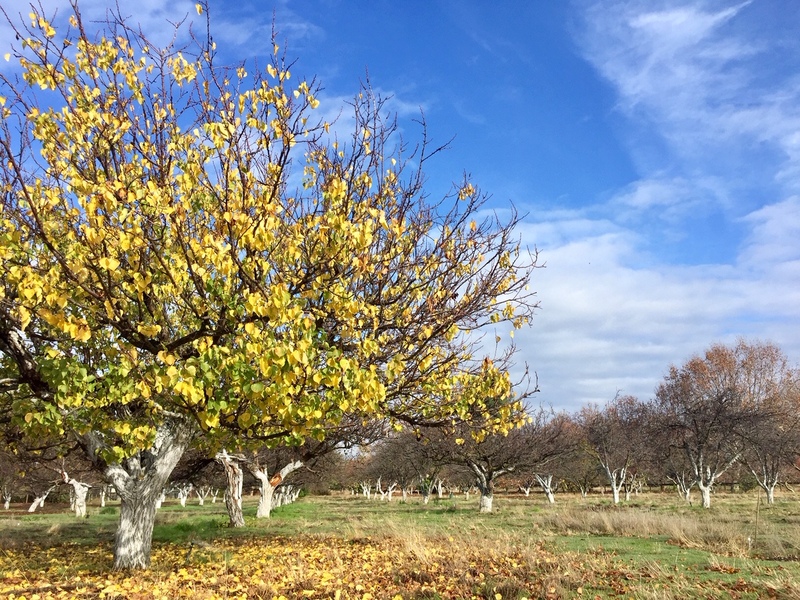 The orchard is a living example of an earlier lifestyle and the economy that once drove the Santa Clara Valley. In the 1930s and ’40s almost everyone who lived here was engaged in the business of fruit production: growing, picking, packing, canning, selling, or otherwise supporting the industry. Today, with very few orchards remaining, this is a place where adults and children can come to experience a piece of local history. Fruit harvested from the Historic Orchard is donated to the Second Harvest Food Bank of Santa Clara and San Mateo Counties.